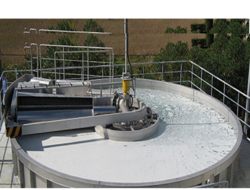 Exporter of a wide range of products which include fiber recovery system for paper mills. Installation of a DAF Save-all in the white water stream of a paper mill amortizes itself in a matter of 6-9 months by way of recovery of valuable firbre and clarified water which can be substituted for fresh water within the mill. Our DAF Save-alls are in operation in paper mills in Scotland, Saudi Arabia, UAE, Iran, Malaysia, Sri Lanka and Bangladesh besides India.